Project Duration: 2017 – present Description: One Dalton is a cast in place tower that will stand 740 feet and 61 stories tall. 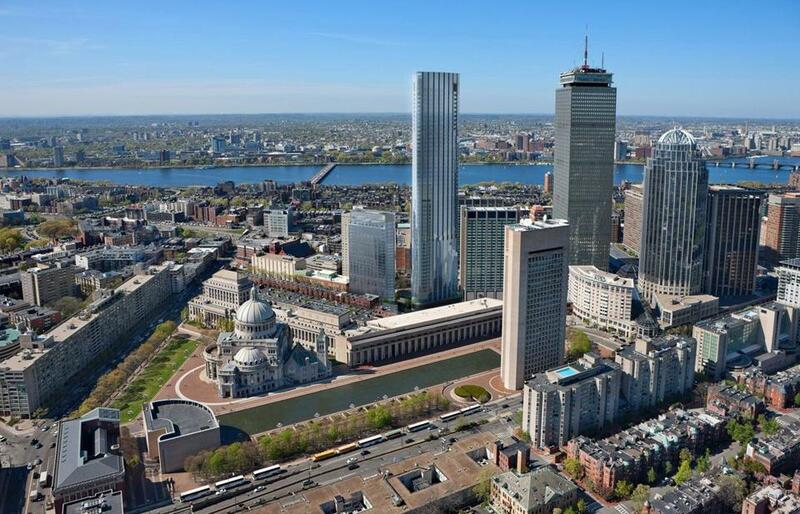 Once completed One Dalton will be the tallest residential tower in New England consisting of 712,500 square feet of residential, hotel, and retail space. One Dalton’s upper floors will contain 180 private luxury condominium residences. Underneath will be a Four Seasons luxury hotel with 215 rooms. Scope of Work: Fenagh is the resident testing and inspection firm on the project performing concrete, steel, masonry, and welding inspections. Providing modulus of elasticity concrete laboratory testing, offsite steel inspections at the Canatal Plant, and round the clock welding observations and inspections of the belt truss.